Any couples out there that are looking for better communication, really starting to understand each other’s personality types, your energy, how you make decisions, all the miscommunications… then this episode is for you. 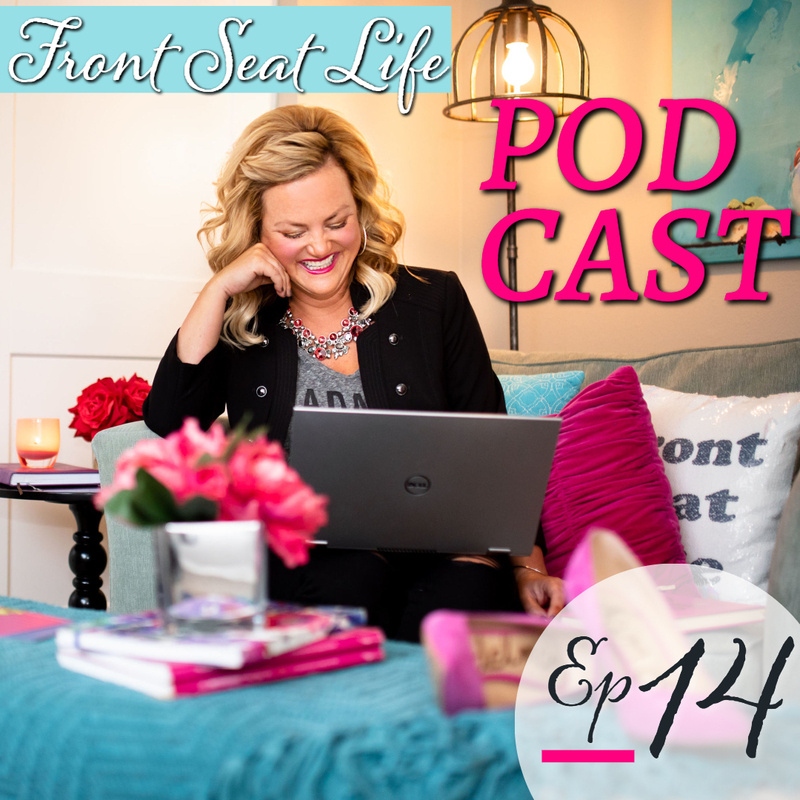 About six years ago I started this crazy process of starting this business called Front Seat Life and with the tag line “Be Unapologetically Who You Are in Your Life, Love and Business”. I’ve been doing the life portion for about six or seven years. I have been doing the business portion for about four to five years and now I am taking all this information and putting it to use for relationships. And today’s episode is a recording of a webinar that I put together a couple of weeks ago. As a couple’s therapist, and as the work that I have done for all these years about figuring out who we are in this world, it must start with us. We really must learn how to put our own oxygen mask on first. I often see couples blaming their partner and pointing fingers, “You’re not doing this,” and “You’re not doing that.” This was always amazing to me. They don’t know what to ask for. They don’t know how to ask for, or what they want, because they don’t know what they want because they don’t know who they are. So the first step of that is figuring out who you are, and to do that I love to use my favorite tool, the best tool I’ve ever found. And that is understanding your Myers–Briggs personality type. Once you know who you are, how you are showing up in the world, and can recognize how your partner is showing up, an amazing thing happens. Clarity. It all becomes clear as to why someone says something or behaves a certain way, it’s just who they are. During this webinar I also talk about one of the interesting things we do, we oftentimes don’t show up as who we are. We suppress ourselves and we hide ourselves because we’re embarrassed, or we’re scared to get hurt. So, we suppress this part of us. We don’t show up fully who we are and end up pulling away from our partner. This is when it becomes critical to be open, be honest, and be who we really are. I reveal some important tools you can use to help with this important step and share some stories from different perspectives and outcomes. I also share why we tend to fall for our opposite, why this can cause challenges later in our relationships, and why this can be a good thing if you can figure out this “being yourself” piece while communicating effectively with your partner. I also mention the ‘ladder of inference’ where our made-up stories can get us into trouble. And we all do this! But, don’t worry, it’s a fairly easy problem to solve and I give you some tips on how you can head off your troubles at the pass. Enjoy today’s episode which is absolutely jam-packed and filled with information that I know will enhance your relationship. And it is just my absolute pleasure to be able to give you this content to hopefully enhance the love and acceptance in your relationship and joy. As always, thank you for listening, I can’t tell you how much I appreciate it. To find out more about Jessica visit https://jessicabutts.com/. Follow her on Instagram @frontseatlife for daily motivation. To learn more about the new Front Seat Love program, go to: https://frontseatlove.com. Not sure what your Myers Briggs personality type is? 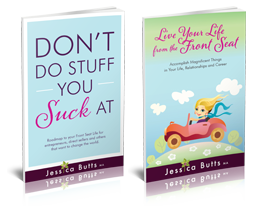 Take a free personality assessment at https://jessicabutts.com/front-seat-life-personality-assessment/. Looking for a tribe of growth-oriented people and want to stay closely connected to Jessica’s coaching? 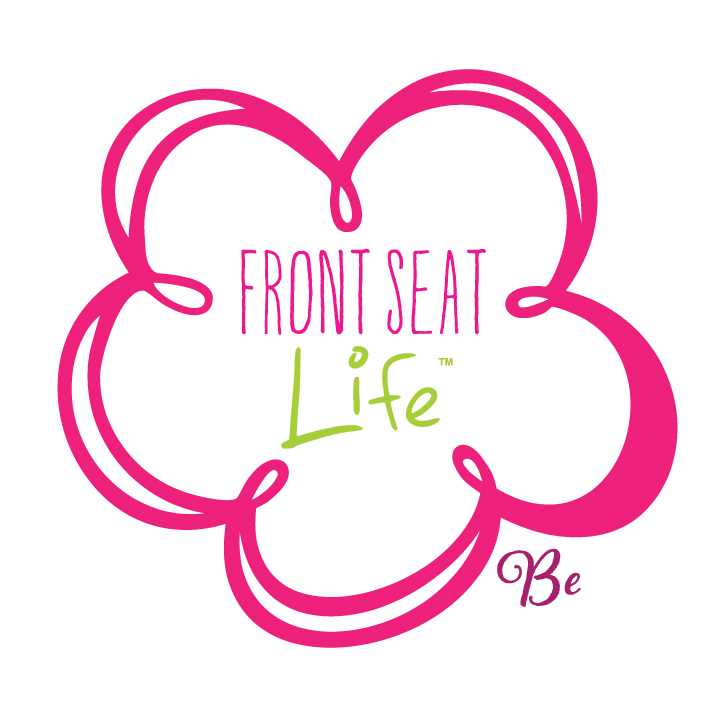 Join the Front Seat Life Community for a small monthly subscription at https://jessicabutts.com/front-seat-life-membership-group/.